1. Remove old gutter whether installing new gutter or refitting existing gutter. 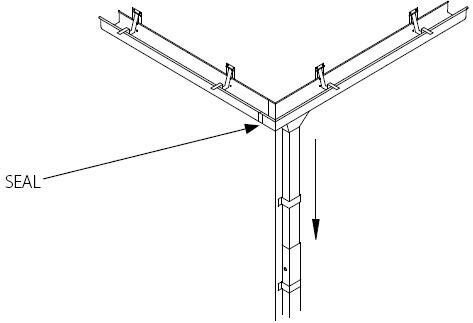 Ensure there is a flat or even straight surface or facia clear of any protruding objects to fix the brackets to. 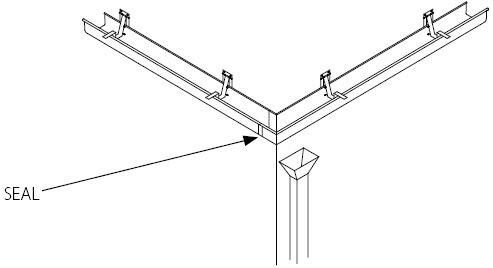 If there is a corrugated or uneven surface, you may need to fit a facia or small square plates to secure the brackets to. 2. 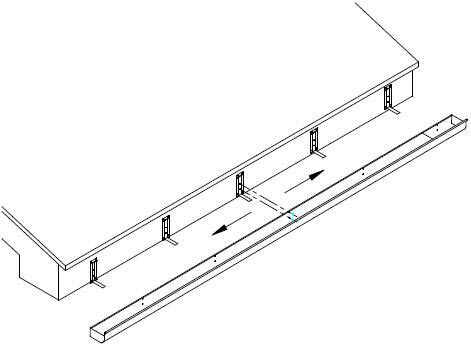 Set up MAK Brackets to suit gutter profile by adjusting first bracket to suit existing or new gutter profile using holes on the bracket and the supplied screws. Then count holes and set all required brackets in the same settings. 3. Place bracket as high as possible on facia whilst ensuring bracket is allowed to work freely. Mark one of the top holes, remove bracket, insert screw where mark is and attach chalk line. 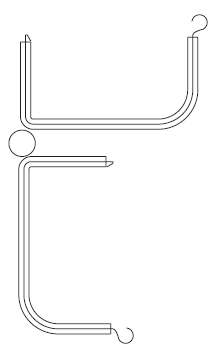 Proceed to other end of facia with chalkline allowing enough fall for water flow to downpipe. 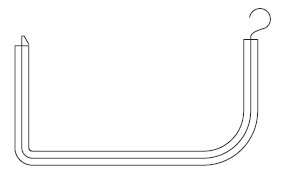 Mark facia using bracket, insert screw and tension chalkline around screw. Flick the chalkline back onto facia making sure facia is clearly marked. Then remove chalkline and screws. 4. Starting approx 300mm in from one end install brackets at a spacing of between 1000mm - 1200mm all along the facia. 6. 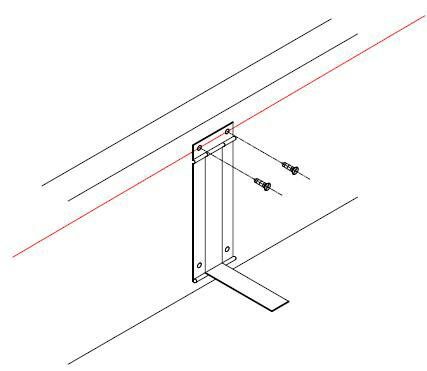 Once the positions for the brackets are marked the brackets can now be attached to the facia or plates by inserting screws through the top two holes on the bracket ensuring the chalk line mark is visible through the holes before inserting screws. 7. Insert two screws through the two bottom holes on the bracket. 8. Repeat 6 and 7 until all required brackets are fitted securely. 9. Before installation of new gutter, measure and cut to correct length, also cut any downpipe holes, end and seals that may be needed. 10. 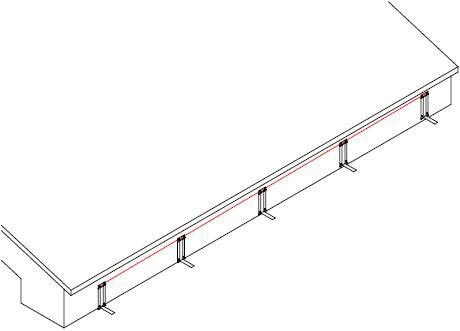 Measure and mark centre of length of gutter, and measure and mark centre of facia to be fitted. 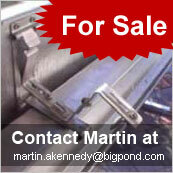 Ensure brackets are in a downward position. Lift up gutter from centre mark. 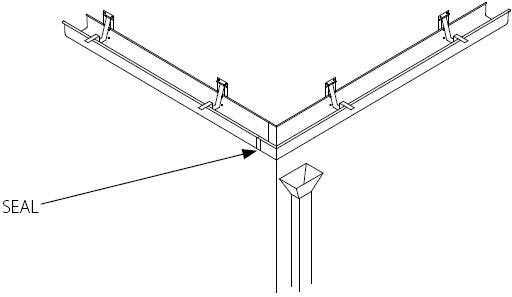 Aligning both marks clamp gutter to nearest gutter bracket either side, ensuring the gutter is flush on both edges against the brackets. 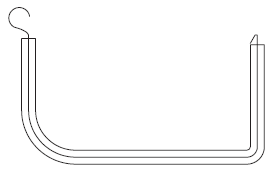 Then working outwards in both directions clamp the remaining brackets flush as well. 11. Next pop rivet gutter to bracket through the appropriate holes using 1/8th inch or 3.18mm rivets, working outwards in both directions, removing clamps as you go. 12. Repeat process for length of gutter. 1. Leave the mitred corner fixed and run the swing down gutter as close as practicable to the mitred corner with a seal. 2. 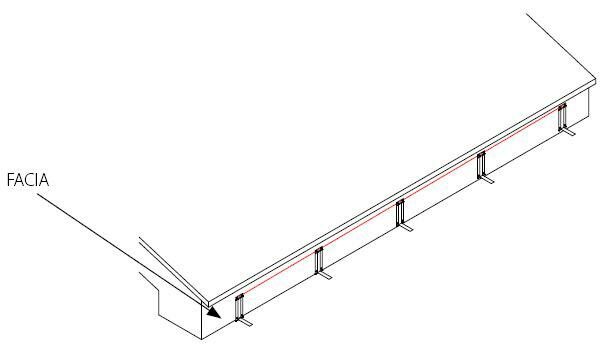 Run the swing down gutter run as close as practicable to within 40- 60mm of one end of the mitred corner with a seal and leave the mitred corner attached at the other end to a section of drop down gutter. Important : Make sure there is a 3-6mm clearance from back of gutter to facia when mitre is attached to allow seal to work as per option No 2. 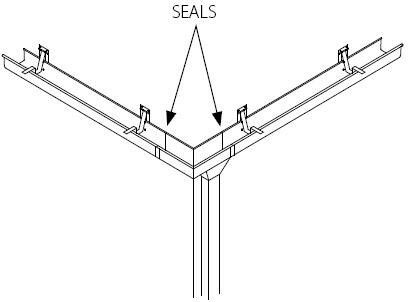 Using the seals supplied firstly slide the seal over the gutter end to the measure the length of the seal required and cut off the excess. 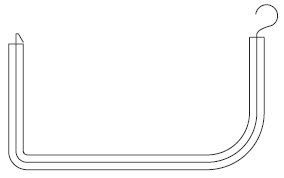 Use this length to cut a second seal to match the mating gutter end. Remove the seals and squeeze the silicone gel into the tube part of the seal to a depth of 30mm past the small radius of the gutter as shown. Next squeeze the silicone gel into the open length of the seal over the full length before sliding on to the gutter end. 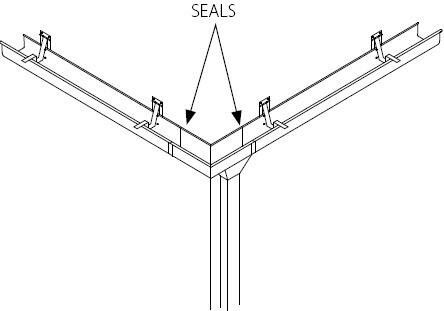 Use the same method for the seal on the matching gutter end. Once the seals are on leave the mating gutters separated for 25 hours to allow the silicone gel to set. Ensure there is a 13 to 15mm gap between gutters to allow gutters to clear each other when being dropped or pushed back into the upright position. 1. 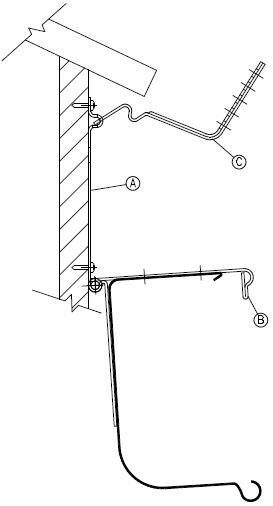 Use a rainhead with downpipe connected low enough to ensure gutter clears when dropped down. 2. Make the downpipe telescopic so it can be lowered to allow the getter to be dropped down. 3. Leave the downpipe fixed and run the swing down gutter as close as practicable to the down pipe with a seal.